Over the last 25 years, the introduction of and the explosion of the internet and social media has revolutionised the world of job-hunting. 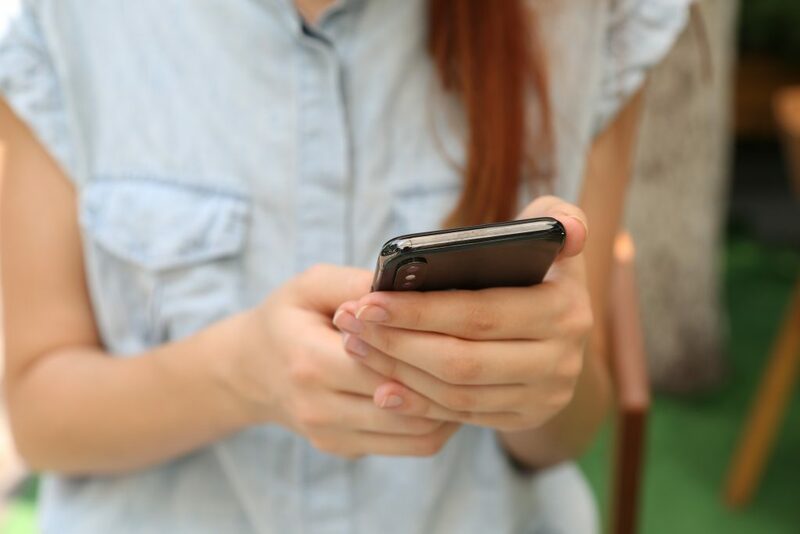 No more standing in line at the job centre waiting to speak to somebody about job number #412 – you can simply scroll, tweet, swipe, screenshot any relevant information via your smartphone and in an increasing number of instances simply apply via your mobile. You will have noticed that the number of job adverts in your local newspaper has shrunk significantly, yet jobs still exist. What they have done is moved over to the internet, and to social media networks. Social media has changed the way we interact as a species on every level; efficiency, speed of information exchange and the world of on-demand has made job hunting on social media not only a real thing but done properly a very effective and instant process for both the recruiter and the job hunter. The social media sites have evolved to the needs of society and where in the early days, high-profile professional positions were the only ones to be found listed on sites, today part-time temporary positions are just as likely to end up in your feed too. 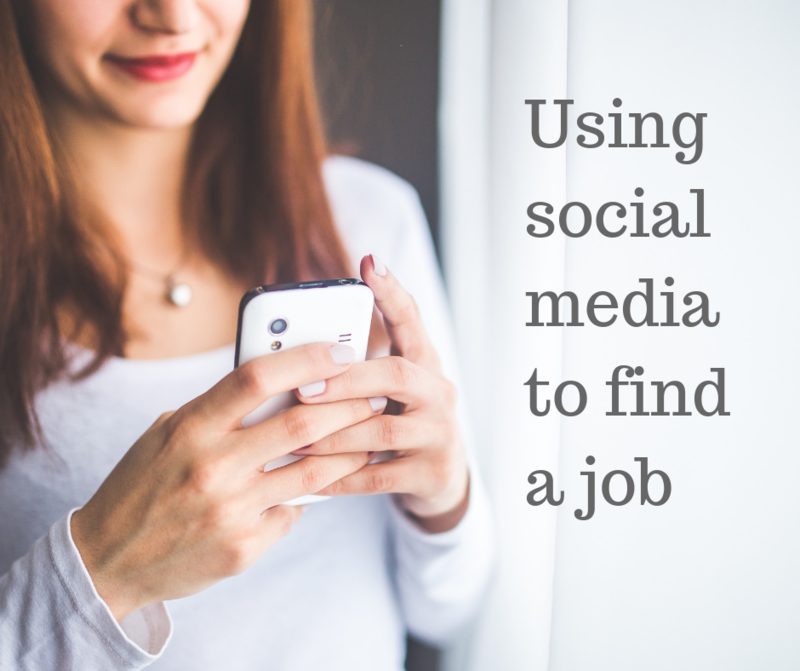 When it comes to finding a job using social media there is so much advice out there we thought we would help by breaking it down into tips and tricks by platform and general tips on how best to present yourself on your own social media. The main social media platform associated with looking for professional employment is LinkedIn. LinkedIn was one of the very first social media platforms. Launched back in 2003 with the aim of emphasising professional connections LinkedIn is firmly established as an excellent platform to use in your job search. If the position you are seeking is full-time and of a professional nature, the platform can be a great tool. Try to make sure your profile is complete and up to date. If you change jobs or career be sure that your profile reflects this. Highlight your recent experience to ensure potential employers see the most current information about you. This is an ideal space to sell yourself to any prospective employer who may look up your profile. Make connections with people in the companies you want to work for and let recruiters know that you are open for work in your profile (i.e copywriter seeking a new challenge). Give your profile picture some consideration; LinkedIn is not perhaps the best platform to have your latest Halloween costume, makeup and wig on display unless of course, you are looking for work as a specialist make-up artist! The LinkedIn job feed is exceedingly useful. This is a supply of jobs and you can search using keyword and location. It will also start recommending jobs for you once it gets to know which ones catch your attention. However, as this is a paid feature for employers, not all jobs are put into the jobs feed. There are many recruitment firms with company pages on LinkedIn. Follow the ones who are linked to your job search and keep an eye on their updates for posts which are relevant to you. Finally, your LinkedIn will work best for you if you actually use it; post updates and share relevant articles. The more you interact with the LinkedIn community the more you will get from it. LinkedIn as a job-hunting platform in social media has to be seen as the limousine of the fleet; designed to help you network and for employers to view you, however other social media networks are jumping on the job-hunting bandwagon and there are lots more options for finding a job. On the left side of your Facebook profile (or in the menu bar of the mobile app) there is a ‘jobs’ tab. Clicking through then lets you refine your search by selecting the locations you are able to work in, whether you are looking for part-time or full-time and even the industry you are looking in. Once you have searched for the jobs you are interested in, Facebook will show you the jobs that fit and then they give you an ‘Apply Now’ button. Completely brilliant! It will then keep showing you relevant jobs that fit the parameters you have set. The Facebook jobs feed is brilliant for finding jobs of all types, including temp and casual work. It doesn’t cost employers anything to post in the jobs feed so you’re more likely to find lower-paid, unskilled jobs in here than you are in the LinkedIn jobs feed. It’s a good idea is to ‘like’ firms that you are interested in working for, keep an eye on their feed as if you can get yourself an interview you will be up-to-speed with the company ethos and interests. Also, as with other social media platforms, like and follow recruitment firms and agencies – watch out for their updates and job posts. A lot of them also dish out hugely useful advice and tips on CV preparation and interviews too. Again, though in the land of social media this type of job hunting leaves you open to examination in return. Before you actively begin applying, tidy up your profile. Remove odd-sounding middle name add-ons, and replace the cover photo from last year’s works Christmas party (no judging from us!). Make any posts that are relevant to your profession public, so employers can see that you are actively interested in your field, and think about joining some local groups where local employers actively post jobs too. Twitter is very effective as a social media tool for job hunting. On Twitter, you can follow the firms you are interested in working at, leaders in the industry, and also some of the folks already working in the industry to keep you bang up to date with current information. A beneficial feature of Twitter is the #hashtag. Hashtags are a searchable tool that make this particular Twitter particularly effective when you know what you are looking for. Have a search through the tweets that use hashtags such as #jobs #careers #hiring #nowhiring. How about specifying the type of role you are seeking, for example, #officejob or #yogajob? Try it. Find and join in Twitter chats, and this will help you find and network with local firms and employers in the areas and industry you want to work in. Be active on Twitter by sharing relevant news and articles in your feed. If you want to be a social media marketing manager for example (and who wouldn’t, right?) 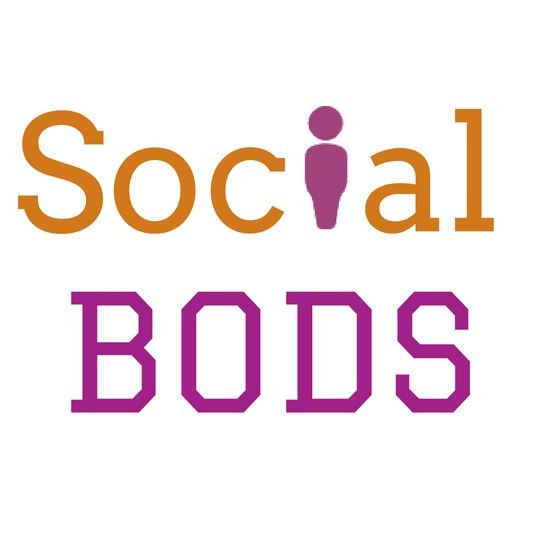 then share interesting stories and fascinating insights about social media. This shows that you are interested in the topic and are knowledgeable. Employers will post vacancies in areas where they hope applicants will see the advert. Employers and recruiters often use local Twitter hours such as #Yorkshirehour to advertise jobs. While you don’t need to join in a Twitter hour at the right time, do remember to have a scroll through your local Twitter hour’s hashtag from time to time. Instagram is often an overlooked network when it comes to job-hunting but it shouldn’t be. Instagram is HUGE – returning to the statistics from Hootsuite posted earlier, Instagram has grown by a third in the last year! This social media platform is certainly growing and growing and as such it too has its uses in the world of job hunting. Searchable hashtags are again an effective way of searching exactly what you are looking for, and you can now follow a hashtag as well as specific accounts. Want a newsfeed full of job adverts? Follow hashtags relevant to your specific job search and away you go! #chefjob #accountantjob #socialmediajob and so on, you can even make your hashtag search location specific – #Londonjobs #Cardiffjobs etc. Once you’ve found the employers and recruitment agencies who are sharing information about the sort of job you are looking for, then all you need to do is find out how to get in touch with them. You can’t apply through Instagram for jobs (though you could DM the poster if you wanted) but that doesn’t mean that potential employers won’t look you up on there. Make sure your bio sounds professional and include keywords relevant to your industry will also help to make you stand out. If you create content on Instagram, then make sure it’s not unprofessional and shows you in a bad light. Use your social media to demonstrate who you are and what you can achieve. One consideration to bear in mind when using social media is how public your activity is. Others can see if you like, share, and comment on posts, and even who you are following. If you’re looking to keep your job hunting private, for example, if you are already in a job and don’t want your boss to know you want to move, then there are things you can do to minimise the risk of being outed. On Twitter for example, a brilliant idea is to create a Twitter list and collect together a list of firms you want to work for and follow. If you don’t want others to see that you’re following employers or recruiters, then don’t follow them – add them to your list instead and make that list private. On LinkedIn remember that when you comment on a job post it will be visible to those you are connected to (which may well be your boss!) and to others who you are not yet connected to. Comments you make on Facebook on a post advertising for applicants will appear elsewhere and other eyes will see it. If you are job hunting on social media then be aware that if your boss is unaware, they soon may be if you are careless. One of the blessings of the world of social media is that information exchanging now takes seconds and is instant. This does, however, work both ways. 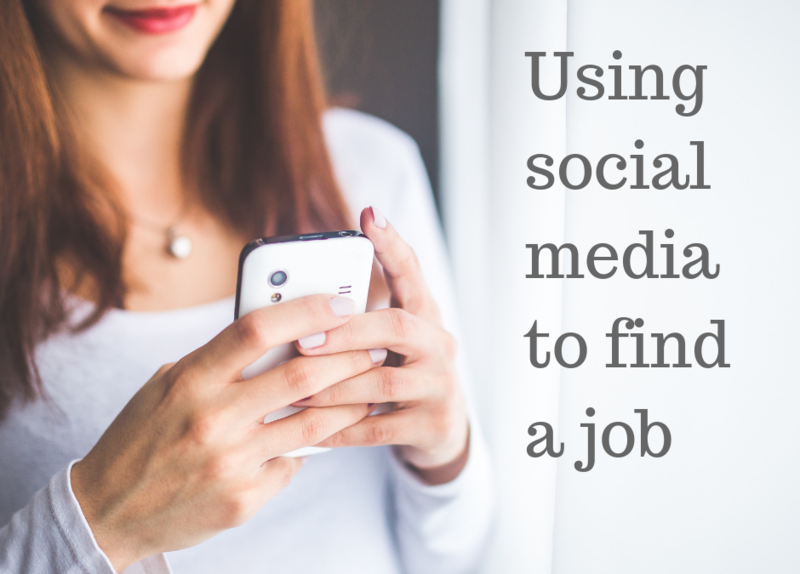 If you are looking for a job and using your social media as a tool to help you, you must be aware that recruiters can see you in an instant too. Despite what they say, many recruiters and employers look people up on social media before contacting them to discuss an interview. 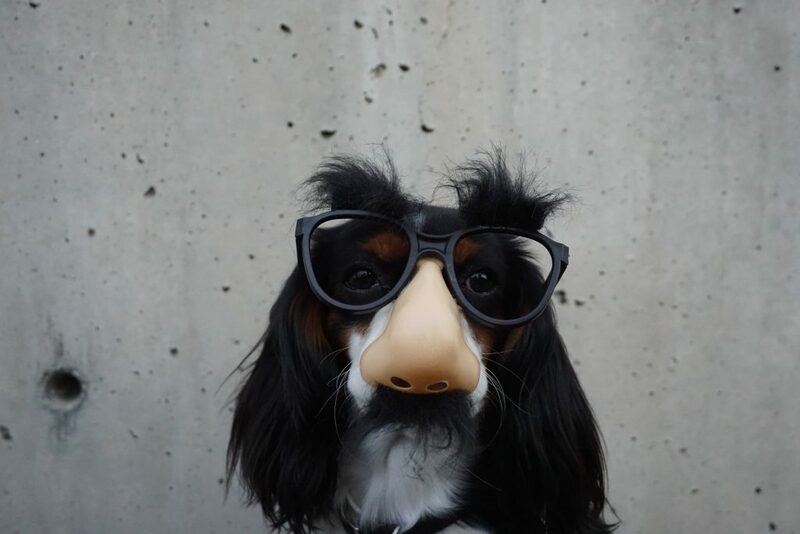 Make sure you’re creating the right impression. Get rid of immature nicknames and profile pictures. Delete any posts that make you sound a bit weird. The general rule on social media is that you while you should be yourself, you should be the best version of yourself – a cover image of you falling out of a taxi after one-too-many shandies could make the difference between you getting an interview and your CV being put in the bin. Get a friend to look at your profiles and critically analyse them before you apply for your dream job. And don’t forget about those profiles you set up many years ago and have since forgotten about. MySpace anyone? They didn’t go away just because you moved on to Facebook. Get them deleted if they’re no longer relevant to who you are now. And one last tip from someone who’s been on the receiving end of many job applications – use a better email address than the one you set up at school. An email address like hotlips69@yahoo.com isn’t attractive or clever. Looking back to 25 years ago before the internet made the world a smaller place the world of job-hunting is a fast and efficient one today, the future we are sure will be even better, but we are also sure right at the heart of its progress will be social media. Mandy Lewin, social media ninja, looks after our recruitment clients and is out there on their behalf on Twitter, Facebook, LinkedIn and Instagram every day. She has also seen her share of terrible job applications, and one-too-many images of drunken shenanigans. Not all of them are her own.